In [this video](http://news.yahoo.com/katie-couric-exclusive-edm-superstar-skrillex-152210272.html) at 0:18, Skrillex is seen using the Ableton Compressor Plug-in. In this Twitter photo, DotEXE has used an EQ plugin to loosely recreate Batman's mask. To the right of the EQ is a portion of Ableton's built-in compressor plugin. The first three letters of "Compressor", a "Sidechain" button, and more can be spotted in the plugin slot to the right of the EQ plugin. Visible in this video at 48:56. 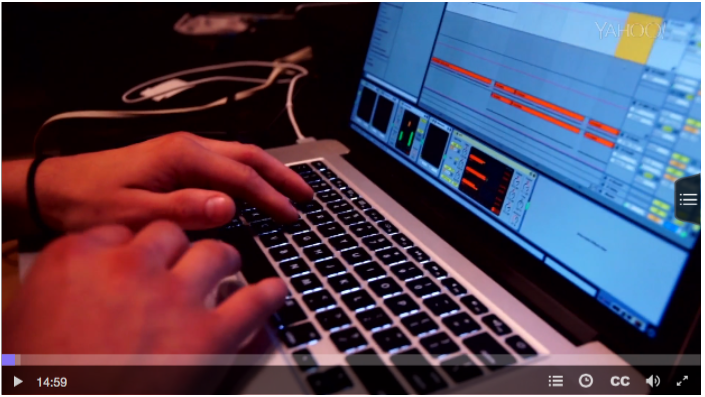 Sleazy's laptop has Ableton running, with Ableton's EQ and Compressor clearly visible. as shown in Future music in studio video. The Ableton Compressor can be seen on the bottom right hand corner on this picture posted to Brillz's facebook. This Plugin can be seen in this Instagram picture, uploaded by the artists themselves. "So we've got two reverb's on there, now I'm gonna add a second compressor. I often user Ableton's Compressor as one of the last things in my chain with a very quick attack time to just squash down any transients that might be popping through." First visible in this video at 10:42. This Plugin can be seen in this Instagram picture, uploaded by Kungs himself. This Plugin can be seen in this Instagram picture, uploaded by the artist himself. This Plugin can be seen at 0:10 in this Facebook video, uploaded by the artist himself. This Plugin can be seen between 0:38 and 0:42 in this Facebook video, uploaded by the artist himself. Great for increasing your volume! I use Ableton's stock compressor to increase the volume of my tracks. Occasionally I will put this on the master channel and gently compress everything but it is always a vital during a mixdown!